So often when we retreat on Lake Superior, we put our focus on the things around where we are staying and forget to realize is that there is more to see and do on the lake and around it. The lake has a great view and so are the surroundings. You are provided with unbelievable setups for taking memorable photos of your vacation experience. In addition, there are so many fun activities to engage in. Standing at 4- meters in height, the Kakabeka Falls is the second largest waterfall in Ontario. It’s just a marvel to watch. You can spend hours just gazing at the way the water is flowing. However, the most interesting part is the fall’s surrounding. There are amazing and beautiful hiking trails that you can follow to have a memorable exploit. The setting is also great for taking photos of your adventure. The fall provides the best backdrop for your photographs. Enger Park is well-known for hosting weddings during the summer because of its amazing appearance. It’s endowed with lush gardens that are known to create a tranquil feel. If you are looking to have a refreshing experience outside your Lake Superior cabin rental, this park is a must visit. The scenery is breathtaking for relaxing as well as for taking photographs. If you are a fan of boat rides, then you should take one to the Sea Park. The fun starts from the time you get into the boat to take the ride. You can enjoy the beautiful appearance of Lake Superior as you head to the park. At the park, there are amazing play stations for kids and adults. In addition, there is the five-story tower that you can use as a background for your photos. So, the park is a destination to take your family. 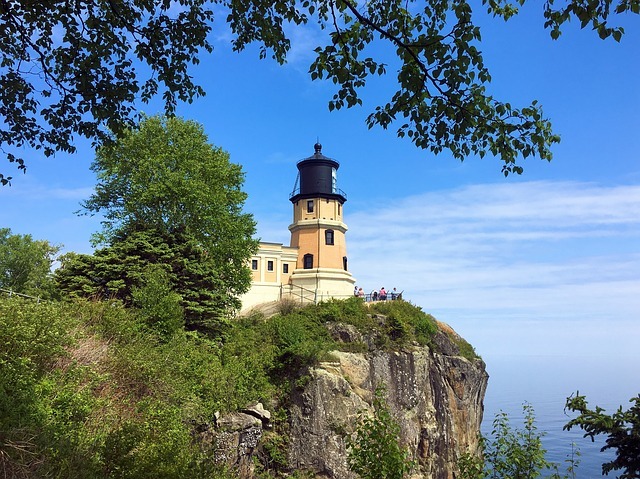 The 54-feet Split Rock Tower allows you to have a better view of Lake Superior and its coastline. You can use the opportunity to take images of the lake as well as of the surrounding features. The site is also amazing to relax and enjoy the cool Lake Superior wind. Algoma County is a vibrant town that has wonderful scenarios. You can see them up close if you take a train ride around the county. You just need to visit Agawa Canyon Train Station to book your ticket and you’ll be taken around the county in just a day. You can take exciting footages while on the tour. A vacation on Lake Superior is never complete without having fun. The above activities are what you need to enjoy your retreat. They’ll help you create wonderful memories of your vacation. You’ll look at the photographs and say that it was with it.